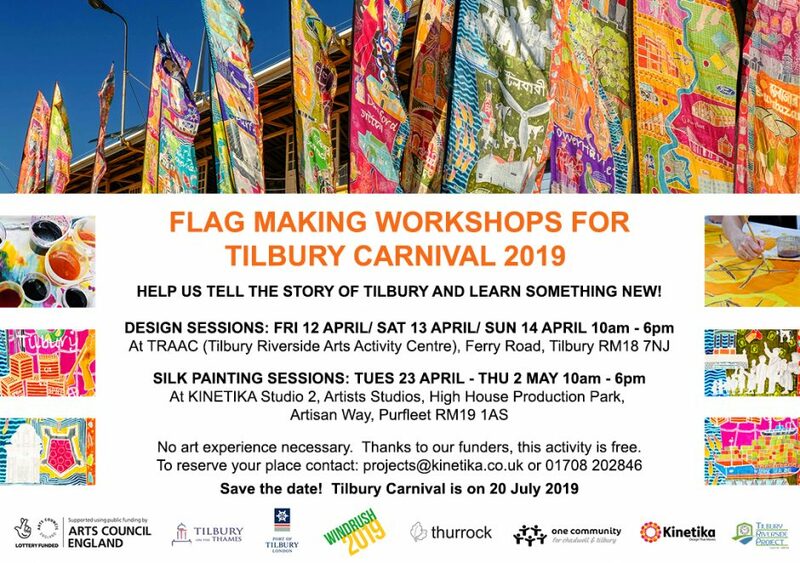 Flag workshop dates are coming up soon in Tilbury and Purfleet for Tilbury Carnival – Get involved! No art experience necessary, come to one session or all. Thanks to the generosity of the funders, all sessions are FREE, don’t miss out! We’ll be creating 30 new flags looking at the rich history of Tilbury, its docks and port communities, the arrival of the Windrush and its legacy, all the different local people as well as the fascinating journeys that have brought them here. Come and be part of the story!